The Homelegance Dijon II Bedroom Collection perfectly interprets the timeless design of the Louis Phillippe Bedroom. 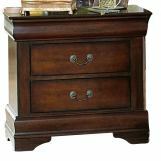 Unexpected excitement comes from the functional hidden drawers, classic antique brass hardware and largely scaled case pieces with over-hang tops and fluted wood moldings on the front and sides. 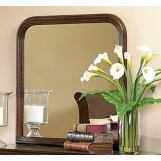 Elegance and beauty are brought to mind when viewing this popular collection. 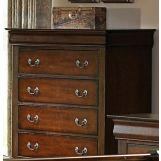 Each of the dresser and tall chest drawers has a single, antique polished, intricately detailed brass keyhole. 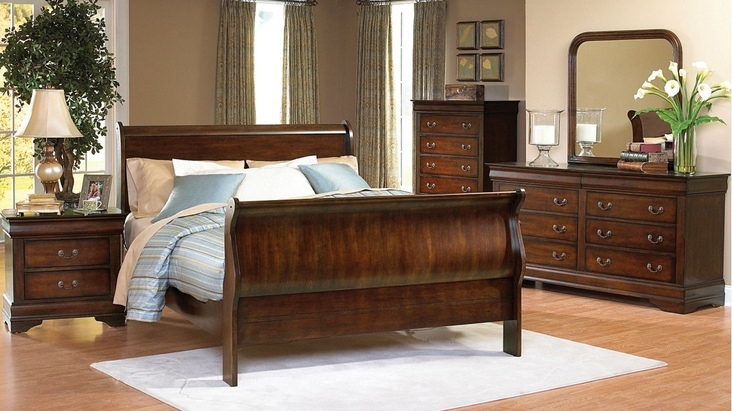 The wood itself features a warm brown cherry finish with beautiful wood grains showcased across the bed and case pieces. 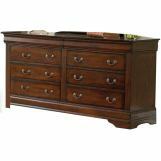 The Dijon Bedroom Furniture Collection is available in both a traditional sleigh bed and Estate Panel Bed.